Across the globe there are a few cities that boast as mean vegan and vegetarian scene: Berlin, Tel Aviv, Taipei, and Los Angeles, to name a few. 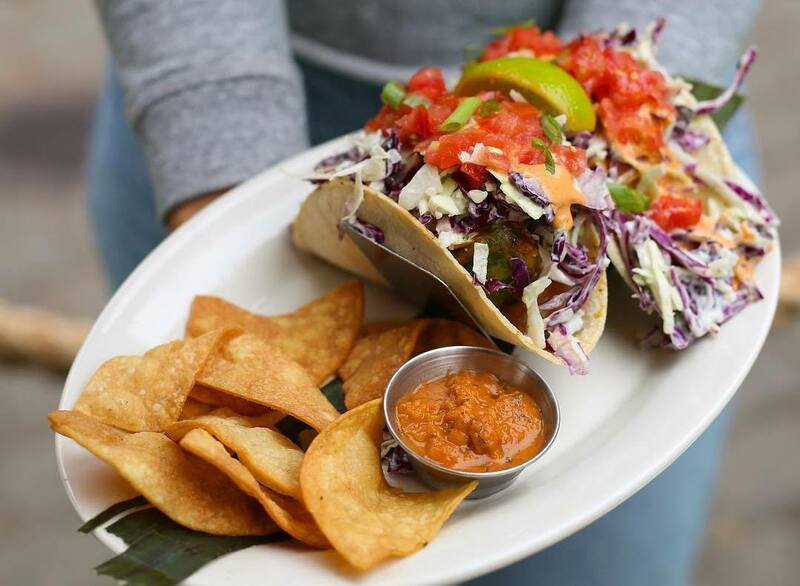 Lucky for Pacific Northwesterners, Seattle is right up there with them, offering a plethora of killer vegan and veg options. We’re no Portland, but who needs VooDoo Doughnuts when you have Might-O? Head to any of these spots and even your favorite meat-eating friend will leave satisfied and craving tempeh. Sometimes you’re in need of a grab-and-go donut… but other times, you just want to slow down and savor each bite of a comforting meal. If you’re in the sit-and-savor mood, Cafe Flora in Madison Valley is for you. 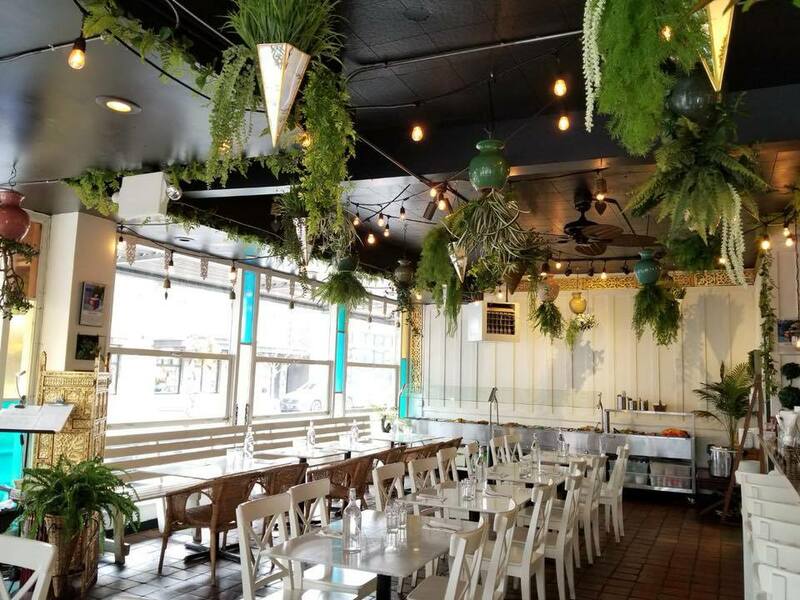 Take a stroll around the block, window shop, pick up a plant at City People’s Garden, and then relax in this cafe’s gorgeous indoor atrium with a Flower Child cocktail and a plate of the Farmers Market Ravioli. It doesn’t get much better than this. 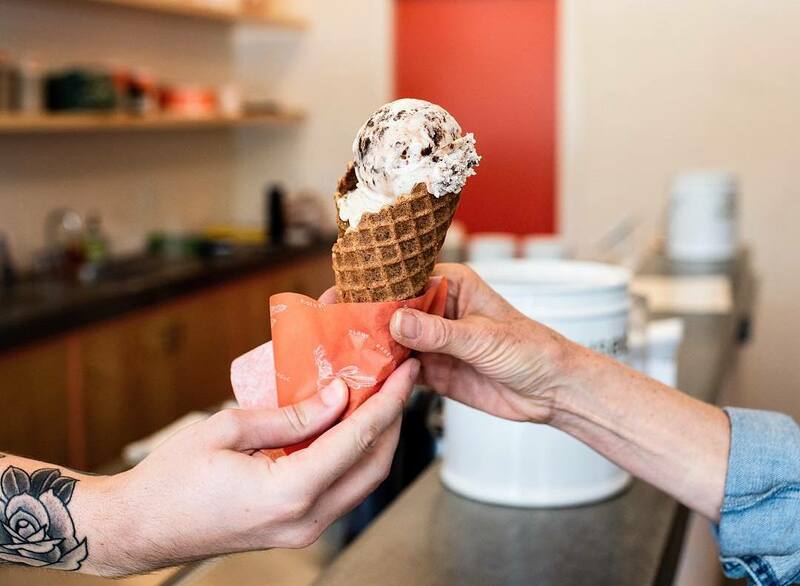 If you’re a vegan and you haven’t tried Frankie & Jo’s plant-based, gluten-free ice cream yet, stop what you’re doing and head to Capitol Hill or Ballard immediately. This ice cream isn’t just good for vegan ice cream, it’s just good. Really good. And we guarantee you’ll love their salty caramel ash and beet rose sorbet so much, you won’t even feel bad for skipping out on sharing your double-scoop. Every Asian dish you’ve ever craved and missed as a vegetarian or vegan can be found and Seattle’s beloved Loving Hut. You can finally eat pho, crispy rolls, pad Thai, and everything in between without fear of fish sauce sneaking it’s way into your dish. 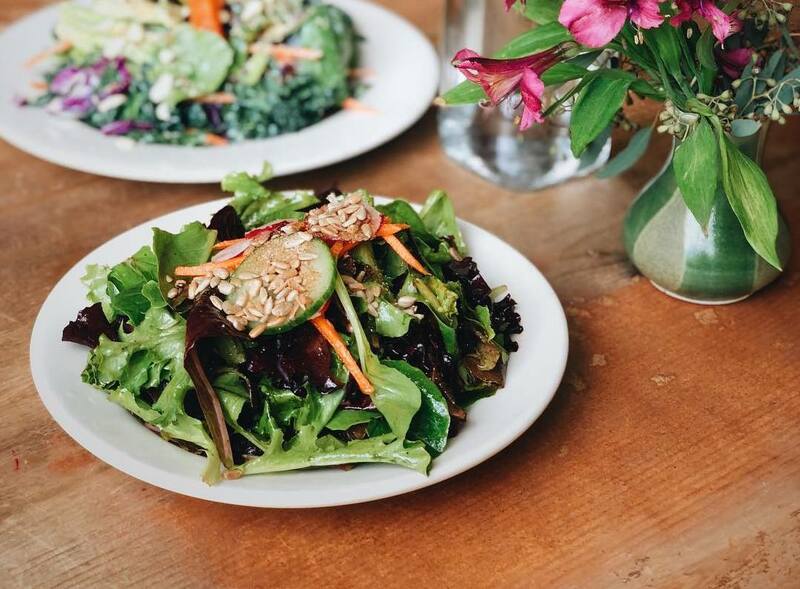 The International District’s Loving Hut is not only here to bring you phenomenal animal product-free meals, but they’re also on a mission to make transitioning to a plant-based diet easy for anyone and everyone. 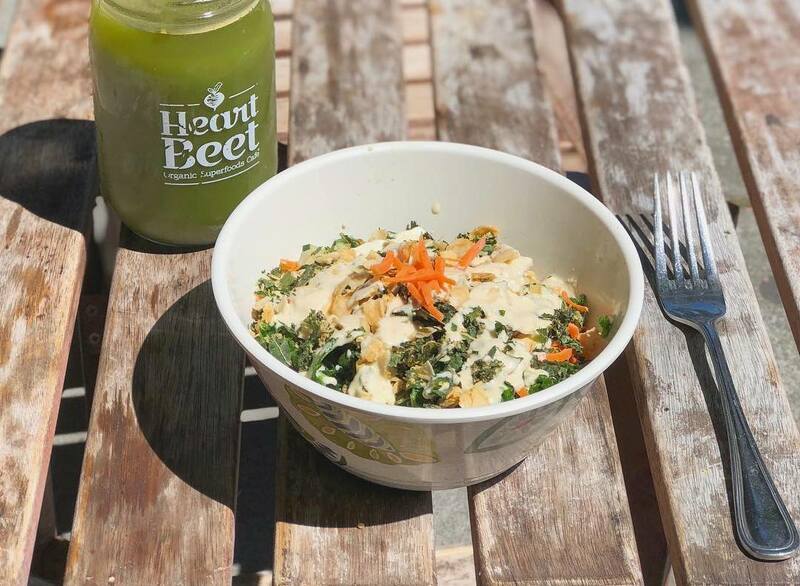 When you read the name “HeartBeet Organic Superfoods Cafe” we bet a few things come to mind: fresh, organic juices, elixir shots, acai bowls, warm grain bowls, hearty salads. And you’d be right! 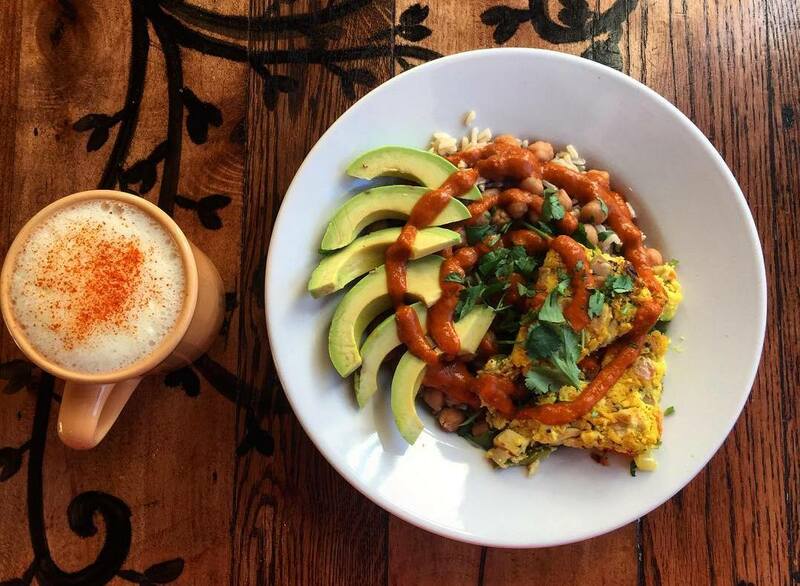 This place is your tried-and-true vegan cafe, offering up all of the classics. They’re on a mission to get everyone hooked on superfoods — and so far, Seattle is on board. Head to this Ravenna spot and check it out for yourself. Sizzle Pie’s ‘food pyramid’ mural says it all: pizza, pizza, pizza. 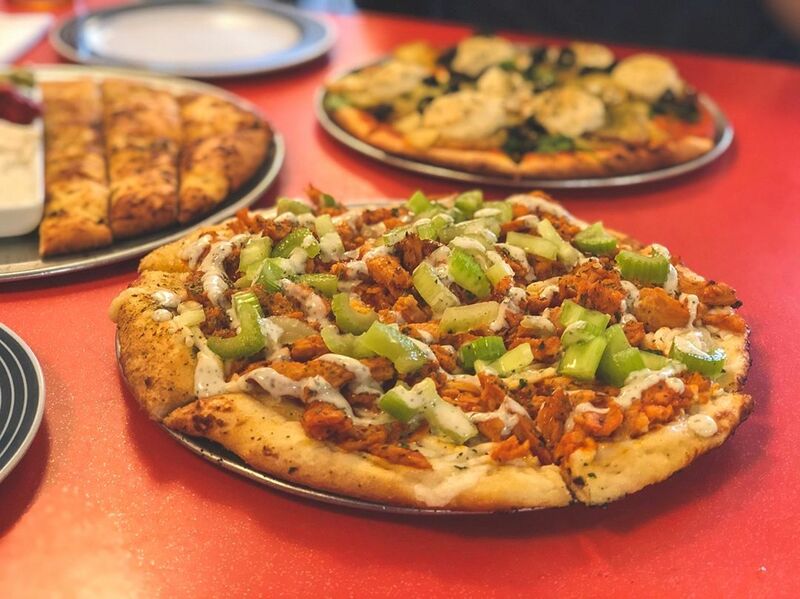 We know that at this point there are a lot of vegan pizza options out there, but none are quick as cool or Seattle grunge as this Cap Hill staple. 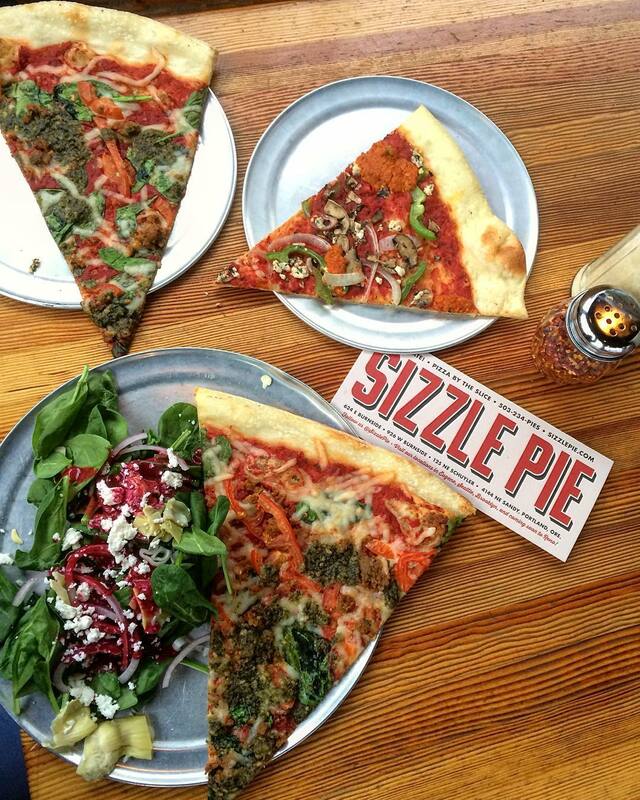 If you need a slice at lunch, a bunch of pizzas for you and your crew, or a place to kick it after a late night Capitol Hill show, Sizzle Pie’s got your number (and your plant-based pie). 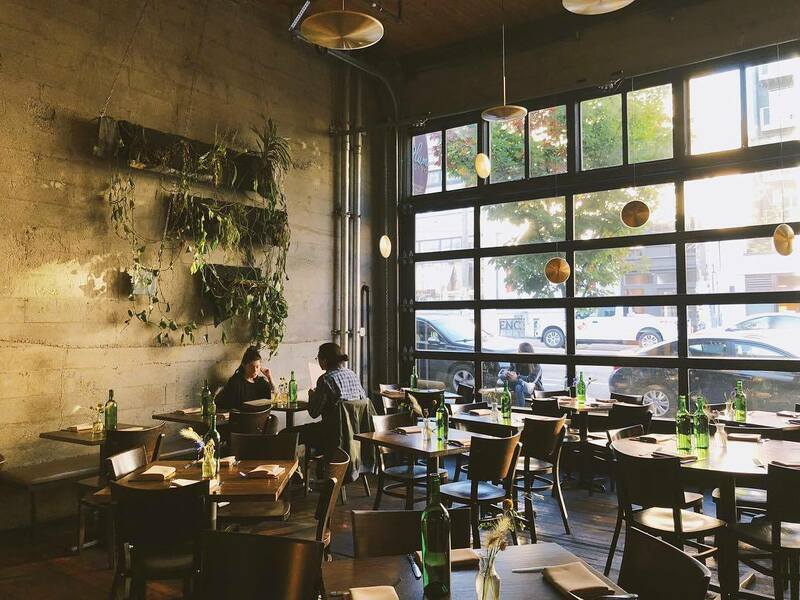 So you’ve been to Madison Valley’s Cafe Flora (If you haven’t, stop everything and catch brunch or dinner there stat). Well, we have really good news: they have the perfect mini-Flora set up at the SeaTac airport. 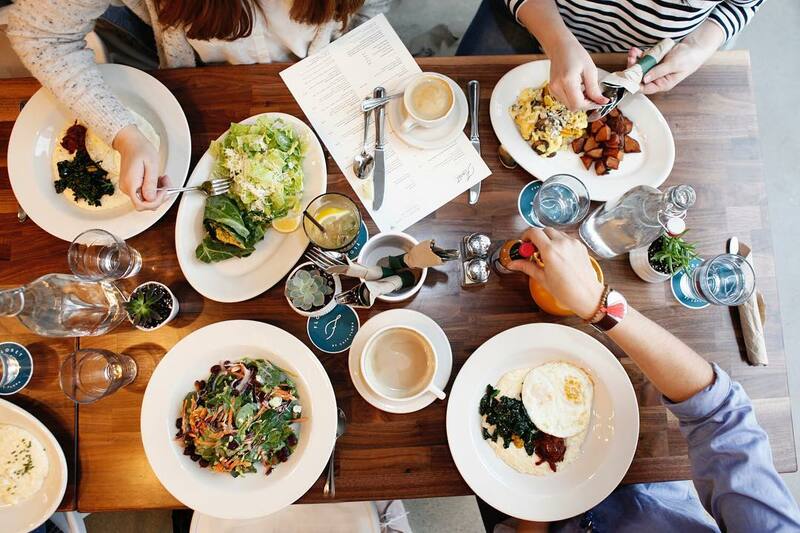 Floret has everything you need to fuel up pre-flight. Oat milk lattes, salads to-go, snacks for your journey. Forget that last minute convenience shop snack run and head here instead. PSA: do have serious bar food cravings? Head to Georgetown Liquor Company (in Georgetown, of course) during happy hour if you’re craving veggie-centric classic bar food. Grab your gang and devour the “meat and cheese” nachos while watching the game. Bonus: when you’re done, you can play a few rounds of old-school pinball and sip on a local draft beer. 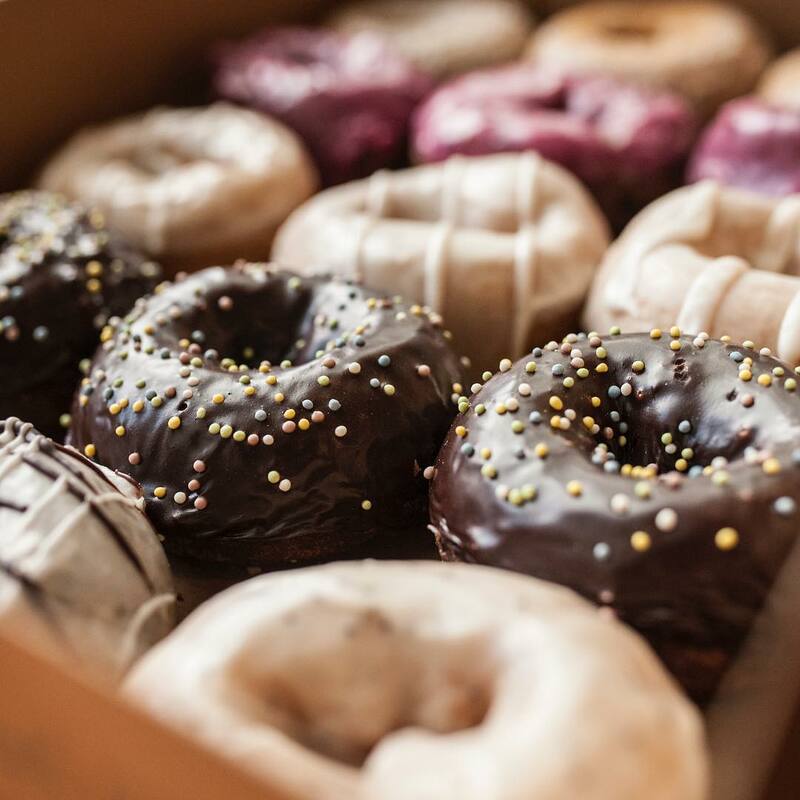 Okay, so it’s not technically a restaurant, but you can’t skip this vegan donut shop. They’ve been perfecting their craft for so many years, even non-vegans have converted to their heavenly donuts. Any day of the week, you’ll want to make a stop in Capitol Hill, Ballard, Greenlake, or Denny Triangle for some vegan pastry goodness. Chocolate-lovers will fall for the Devil’s Playground, a chocolate donut drenched in chocolate frosting and sprinkles. If you’re feeling adventurous (and we think you will be), grab a few of the French Toast donuts to overload your taste buds with spices and maple. 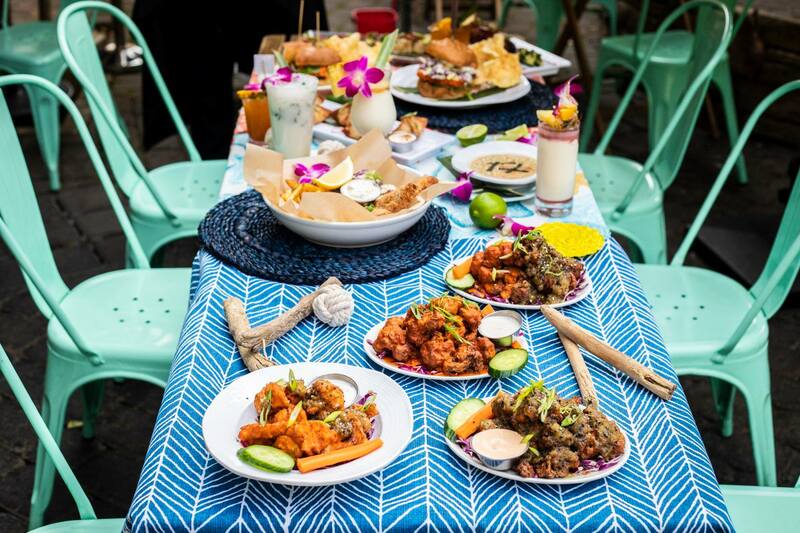 Calling all tiki bar-lovers: whatever you had planned for tonight, cancel it and head to Ballard’s No Bones Beach Club to be transported to island life, vegan-style. Seriously, this spot will make even your die-hard meat-eating friends reconsider all of their life choices. 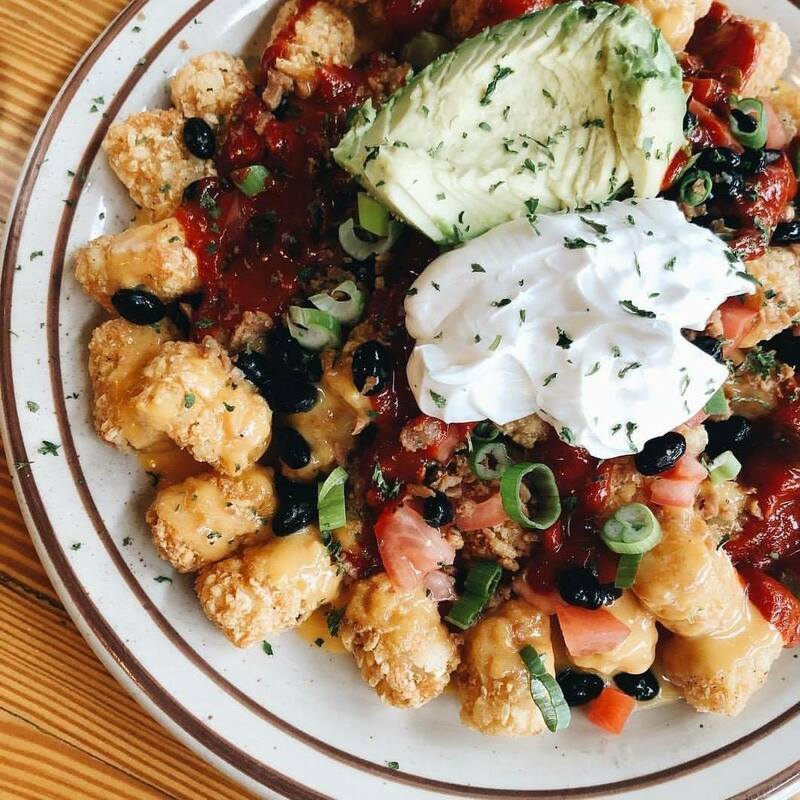 They’ve got jackfruit carnitas Northwest Nachos that actually taste like carnitas with oozing melted cheese and Buffalo cauliflower wings that will change your life. Killer food, amazing tiki drinks, kitschy tiki decor — there’s a reason this place almost always has a line of people waiting for tables. 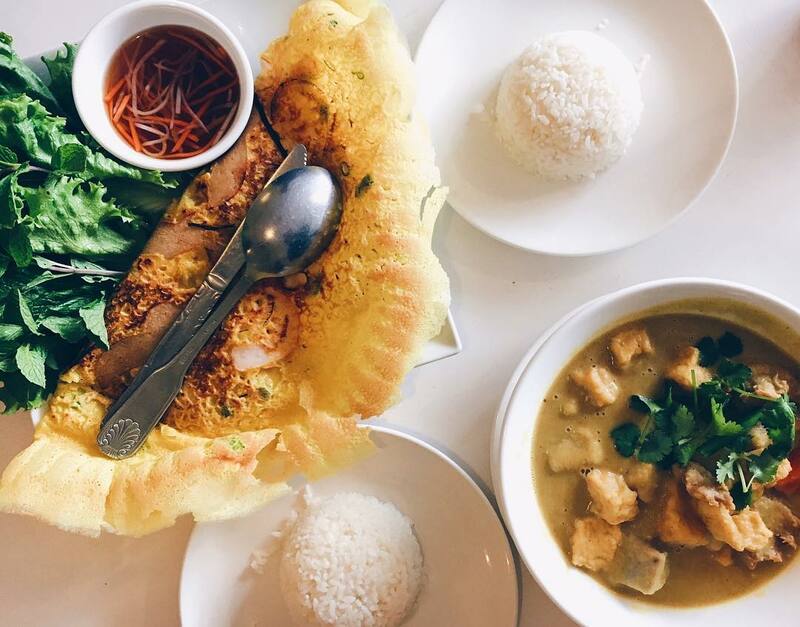 You can easily walk past this quiet Thai place in the U District or Madison Valley without knowing it’s a vegan haven, but it’s the place to go if you’ve been craving a vegan version of Phad See-Iew or Basil Fried Rice. Their whole menu will make you and all of your friends want to go vegan — from spicy tofu curries to fried tofu, we promise you won’t even miss the meat. 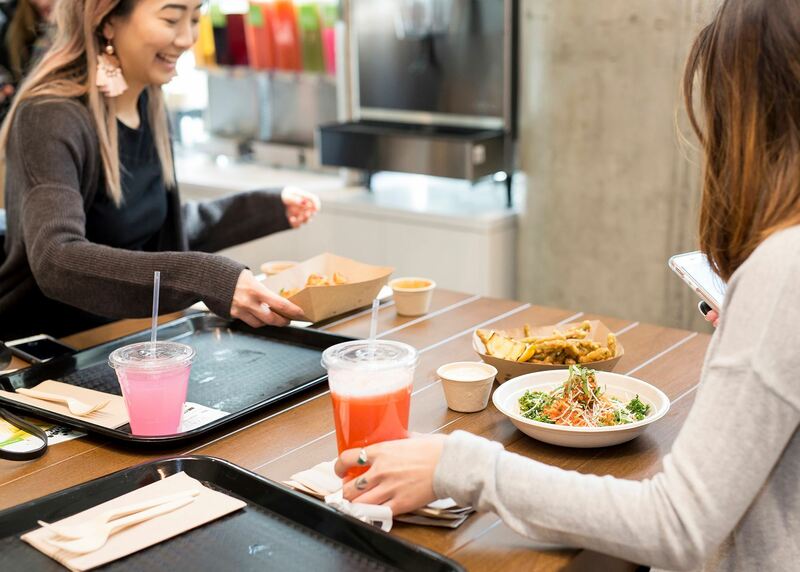 If you and your plant-based buddies can’t agree on a place to eat, hit up Veggie Grill at their downtown, South Lake Union, or University District locations. From their Rustic Farm Bowl to the Koreatown Tacos to Backyard Spicy Fried Chickin’, they’ve got each of your cravings covered. 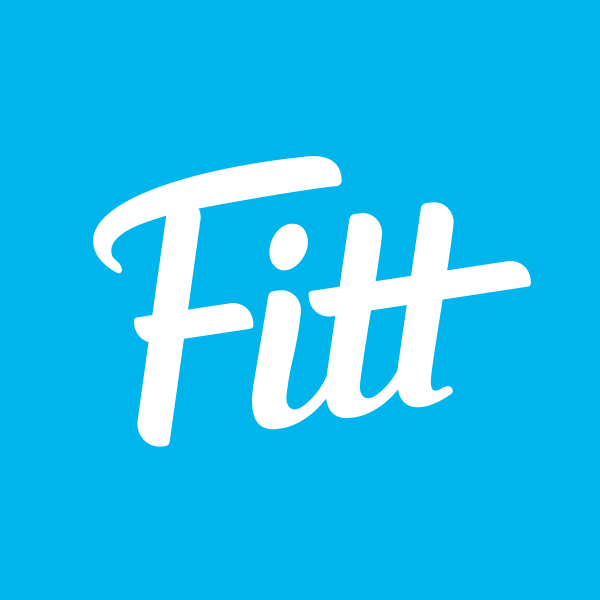 And with a commitment to fresh, seasonal food and a goal of bringing people together around amazingly delicious and healthy food, this place will quickly become one of your go-tos. Chaco Canyon in West Seattle and Greenwood was the city’s first go at raw and vegan eats. Really, you can thank this spot for the whole movement of raw power bars, immune-boosting elixirs, and grain bowls in Seattle. Now, 15+ years later, they can still be counted on as a go-to when you want something nourishing, filling, and super-flavorful (that you know is going to be just as good for the planet as it is for your body). Fitt favorite: the Thai Peanut Bowl paired with a glass of house-made kombucha. How many fine vegan joints have you been to? Probably not many. So when it’s time for a vegan date night, you have to take your S.O. to Plum Bistro in Capitol Hill. You’ll probably want to change out of your sweatpants or leggings to come here, but it’s well worth it; try their Spicy Cajun Mac ‘n’ Yease and you’ll see what we mean. And if you’re really hungry, order the Buffalo Portobello, a sandwich stuffed with a panko-coated portobello mushroom, and topped with buffalo hot sauce, ranch, and veggies. Fitt Tip: if you’re in a hurry, head a couple doors down to Chopped, Plum’s grab-and-go vegan breakfast and salad joint. El Chupacabra has one of the most customizable Mexican menus around (with two locations in Seattle), so you can pretty much make anything work for you. 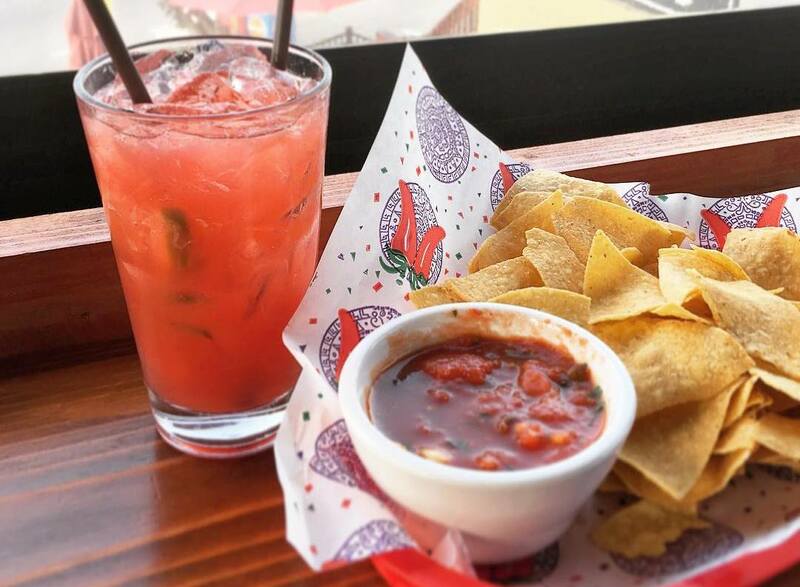 Each table boasts a bevy of salsa for the spicy-lover and the more mild eater. Order a quesadilla with mock steak (seriously) and vegan cheese — trust us, it’s as good as the real stuff. El Chupacabra’s not only got a different take on food, meaning “little devil”, you’ll eat alongside strange little Mexican statues of devils and jam to loud rock music. For those who thought giving up dairy meant saying adiós to pizza, think again. Pizza Pi’s got your fix. Any topping combination you can think of is here for guilt-free pizzas like the Phoni-Pepperoni and the ironic Ex-Meat Lovers pizza (this is an all-vegan joint, if you were wondering). Round out your meal by adding the “cheesy” garlic bread or “buffalo wings”. 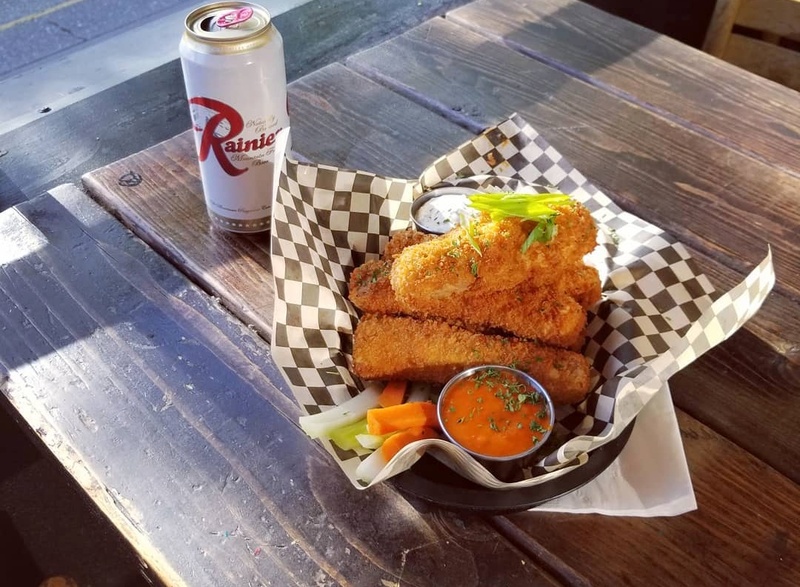 So stop by and scarf down some mean meat-free eats before you head out on The Ave in the U District for a night of bar hopping. 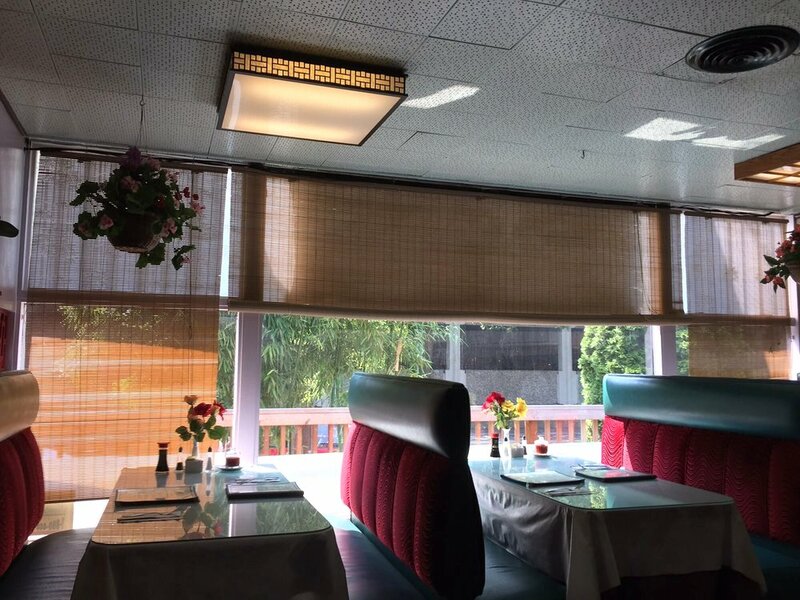 Ordering Chinese food can be a tricky task if you’re a vegetarian, but this Queen Anne restaurant changes all of that. EVERYTHING on their menu is vegetarian. So you can eat your heart out with kung pao “chick’n” and “meat-filled” hot pots. Vegans have plenty to choose from so they won’t feel left out, with meat substitutes selections that include everything from sautéed eel to sesame chicken. No MSG. No mystery meat. No regret when you’ve had one too many dumplings. Loud music and vegan food — two things that don’t usually go hand-in-hand, but absolutely should. 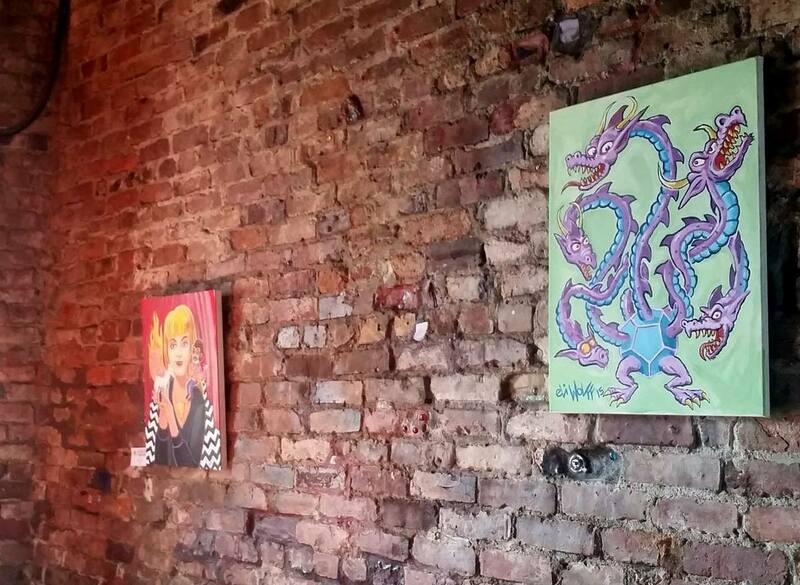 At this Capitol Hill hideaway, you’ll see why they’re a perfect fit as you watch tattooed rockers nosh on seitan buffalo wings while headbanging to live music. The entire menu is so good that this place is always packed with vegans and meat-eaters alike. Your drunk buddies won’t know that cheesesteak is a total fake. Don’t worry — we won’t tell ‘em. If you’ve been missing brunch with your friends because the options are limited to, well… toast, Wayward Vegan Cafe is calling your name. Everything you can possibly think of is on the menu, from scrambled eggs (curried tofu) to pancakes with a side of vegan ham and sausage. They serve breakfast, lunch, and dinner all day long, so it doesn’t matter what time you stumble out of bed. They’ve also got you covered in the drinking for breakfast category — don’t forget to pair your “Ex-Benedict” with their classic mimosa.